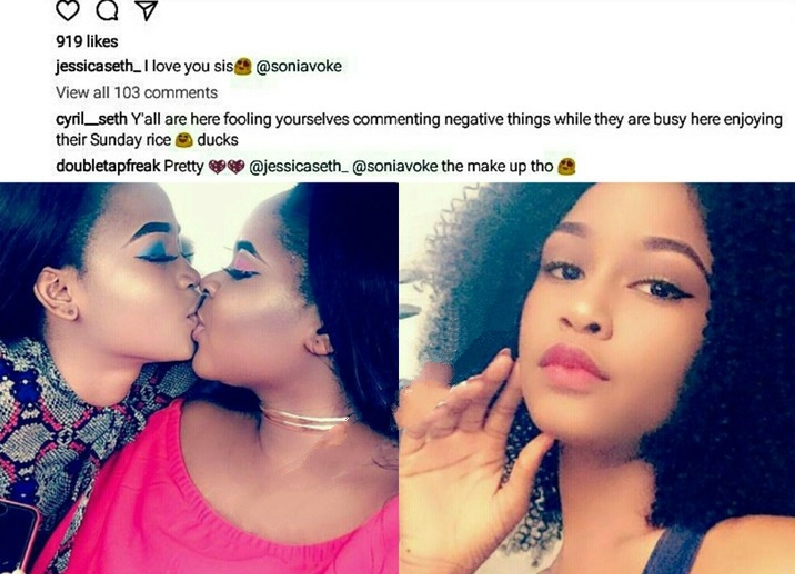 A lady has sparked serious debate on her Instagram page after she shared a photo of herself kissing her sister, Sonia inside a car. The lady named Jessica shared the photo with caption, "I love u sis". However, many of her followers found the photo in bad taste and criticised her. Some even labeled her action incestuous despite efforts from other followers to defend the kiss as just an innocent sisters' kiss. Meanwhile, Jessica's brother Cyril also commented to defend his sisters' action as just having fun and blast the Internet trolls.